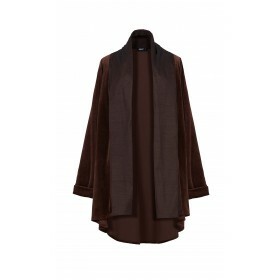 As a brand, one of DORIN FRANKFURT’s goals is to create luxurious basics that embody relaxed elegance. 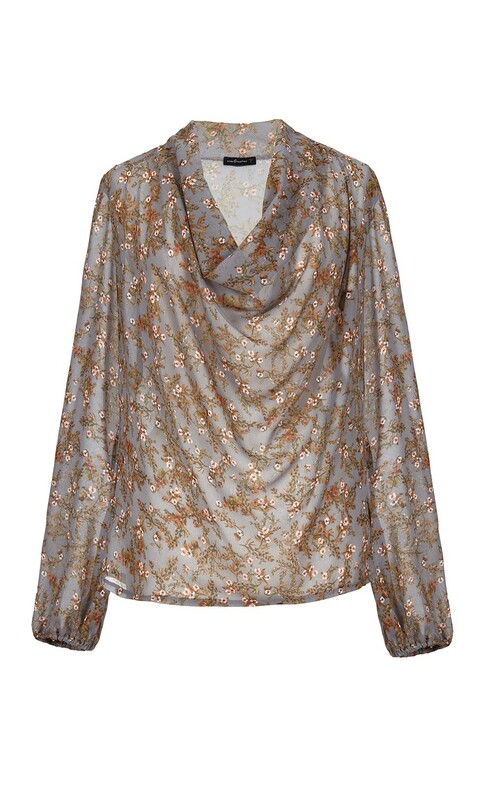 This blouse features a draped cowl neckline and voluminous cuffed sleeves. 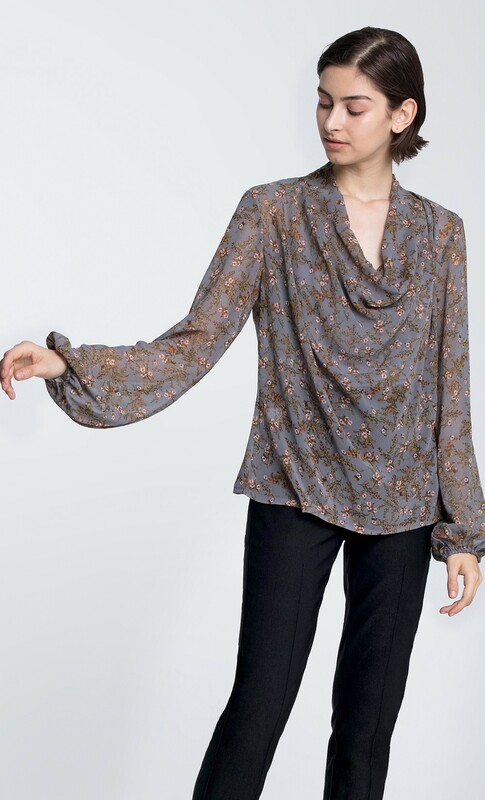 The blouse is crafted from a sheer floral print with a feminine feel that was developed especially for the designer’s Fall-Winter 2018 collection.